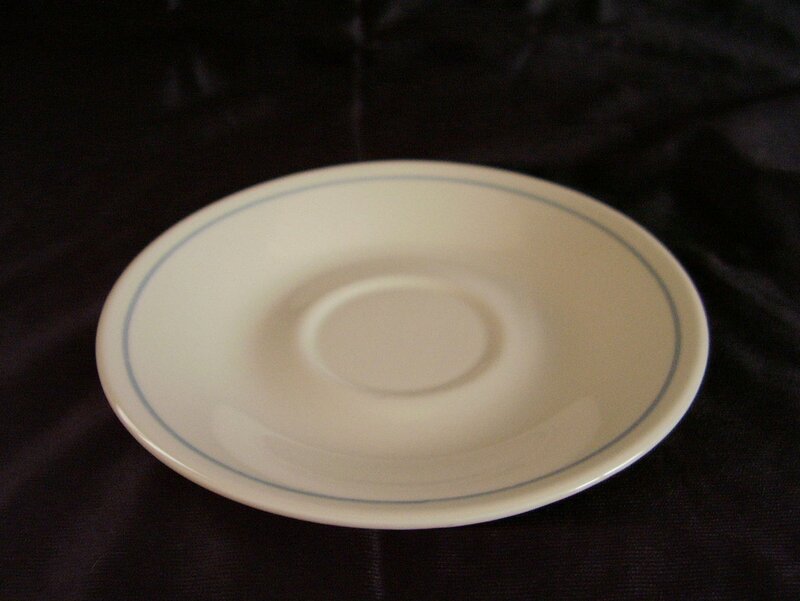 Corelle First of Spring saucer. 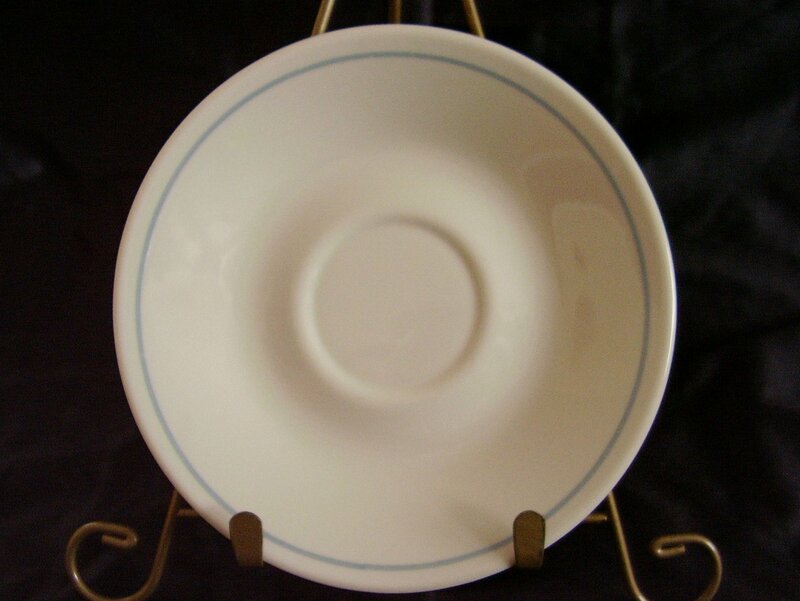 Saucer is an off white or almond color, the band is a medium blue just off the rim This pattern is now retired. Microwave and dishwasher safe. In very good used condition, it has no cracks, chips. No marks noted. Look like they were never used. Measures 6 1/4 inches in diameter. There are extras available.